Contains Horsetail Extract, believed to contain the building blocks needed for collagen and elastin synthesis in the skin. Also thought to help rebuild and regenerate damaged skin cells. Contains Sweet Almond Oil, a natural moisturizer that is thought to relieve (among other things) itching. All Natural. COMMENTS: Horsetail butter is amazing and my secret weapon in my products since my market is geared toward mature skin users. I only wish WSP would carry the actual Horsetail extract oil individually verses in a butter. COMMENTS: Love to use with my lotion receipts. COMMENTS: I can't say enough about the quality of this butter. My customers love it and it works wonderful for all face products I have made with it. COMMENTS: Good to work with, gives my products that secret ingredient. COMMENTS: I use horsetail butter in my body butters. It blends nicely with other ingredients. It adds a nice creamy texture that I love! COMMENTS: I really like this product !! I use it in my anti-aging face cream, body lotions, & lotion bars. It's very absorbing. Getting ready to add to a acne cream and few other product lines. Maybe even lip products too. COMMENTS: I had never heard of this butter before I started using this site but I thought that its property seemed interesting so I started using it in my lotions and I love the way that it made the consistency of my lotion. I then tried it in cold process soap and it did wonderfully there too. This is the only place I know that sells horsetail butter so I will definitely be ordering it again. COMMENTS: I can't keep products made with this butter on the shelf. Its soft, creamy and oh so good by itself. COMMENTS: I learned to stay away from Shea or Mango butter when making lip balms, since they have the tendency to cauliflower up on you when ur not using the lip balm, unless you "temper" the batch properly (by keeping the batch in a liquid state for an extended amount of time, 20 mins should be good), but swapping out my Mango Butter and using the Horsetail Butter, instead, despite its color, imparts a heavenly, dreamy quality to my lip balms! I'm loving this one! It can't be beat! The answer to a superior lip balm and it makes wonderful salves and Lotion, as well! COMMENTS: This is a very smooth butter-like consistency. Feels good applying it directly to the skin. Smooth and easily absorbed! COMMENTS: I use this in body butter. It's amazingly smooth and moisturizing. COMMENTS: I thought this might leave a residue on skin. Made the pineapple whipped body butter. No residue, and has been my best seller. Love the color!! Thanks WSP! COMMENTS: I just LOVE this butter and I can't get enough of it! It's wonderful for everything body and hair oriented. I especially love to use it in facial products. It is the perfect base to any moisturizer. COMMENTS: So rich and creamy. Frustrating that I can't factor it in the soapcalc to see how it affects the soap quality. "My customers love how their face looks after use"
COMMENTS: Customers say they have reduced wrinkles with use of my goatmilk lotion which has horsetail butter in it. I have some who have asked for bigger bottles of it so they won't run out! COMMENTS: I'm amazed the benefits this product has. It makes an amazing moisturizer but it also lightens scars at a record pace. It blends well with all the ingredients I use for my products. "Love the benefits of horsetail extract"
COMMENTS: Love this one. Used to make a lotion for my scalp. Horsetail is said to be good for hair and scalp, and to help with skin cell regeneration, so im using the light, fluffly cream i made with this, with added essential oils for cell regeneration, on my scalp, hoping to help with hair loss from a chemo drug. Whether it works or not to help my hair grow back- it is a lovely cream either way. COMMENTS: This is so far the best butter that I have bought from WSP, I love it, highly recommended. COMMENTS: I'm always on the lookout for a butter/butter blend to add to my arsenal! My focus is on dry skin and this was worth a try. I am VERY pleased with this butter! It's a wonderful addition to other butters. It's not a hard butter and you can even use it right out of the container! It does help with dry skin issues. I do mix this with other butters in my body butters. I'm not disappointed and I'll be ordering more. • Soft. Mild aroma. Blends easily. COMMENTS: I originally bought this to give a boost to my basic body butter recipe. Once I received it I used it straight out of the jar on my face and neck and that was all she wrote. It has no noticeable odor, it absorbs immediately and completely without clogging my pores-it leaves my skin looking hydrated and fresh. I ordered the next size up-I can't wait to experiment with this. Thank you WSP, this is definitely a keeper! "Was skeptical, but love it!" COMMENTS: I was skeptical about this but it works wonderfully well with my cremes. I'll be using this in all my products to increase the benefits of the horsetail butter blend. a bit of a harder butter to whip, but worth the time and effort in the recipes! Another great product from WSP. COMMENTS: So far I have only used this butter blend in bath fizzies. I worked great! The water feels so silky with it added in! COMMENTS: Works well but leaves a greasy residue. COMMENTS: I use this on my face right out of the jar. It's great that it doesn't leave a greasy film, and I swear a crease I have on a part of my face has improved quite a bit! Highly recommend this butter. "My Hair Just Drinks this Product Up"
COMMENTS: This is my favorite post-shampoo conditioner/detangling-moisturizing product. My hair WAS dry and frizzy before-now it's smooth and soft and manageable. I can't wait to add this to shampoo bars. • premixed and ready to use as-is! COMMENTS: It's very soft butter, easy to handle, quick melting, and I love that I can use it for making products for people with allergy problems in skin and I has a lot of benefits in skin and hair. COMMENTS: I use this in my body butter and it's really great. COMMENTS: Before purchasing this butter I had read incredible things about it and so I decided to try it for myself. OMG it passed all of my expectations, I am in love! It moisturizes without feeling overly greasy it is definitely my go to butter now. I will for sure be trying it in a lot more products now. 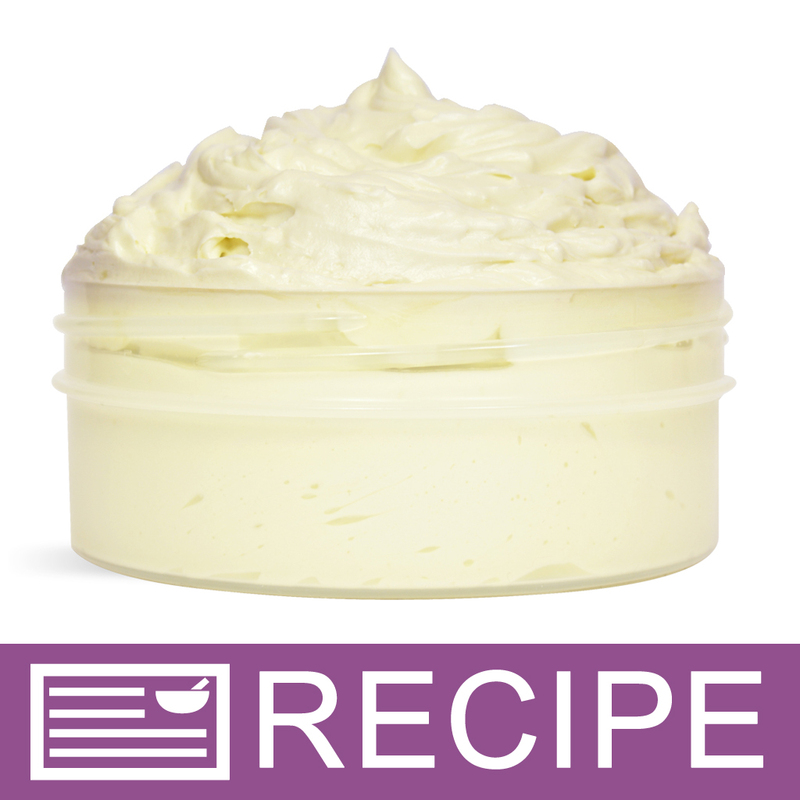 COMMENTS: i had not used this before but i needed something to thicken up a whipped body butter i had made and it turned out wonderfully. its so smooth you can use it straight out of the jar and it felt great on my skin! will be trying it in more of my recipes! COMMENTS: This blend is the best blend we have ever tried. I really believe it does regenerate the skin, the face, hands, arms. Our customers want it more and more. We just can not keep our products in stock fast enough. Try this in the recipes WSP has provided for you. One is the pineapple whipped butter. You will not believe the results. • A small amount whips into a huge amount. • It blends with anything, not thinning. COMMENTS: Super Excellent in body butters, will definitely purchase again. COMMENTS: This is very creamy and awesome in any formulation as an emollient. COMMENTS: It's only needs a yummy smell and it's perfect as is! COMMENTS: I use this in my healing balms. I also use it to apply directly to cuts and scratches- heals me quickly!! COMMENTS: i use this butter for my facial creams, feels wonderful in skin . will buy more. COMMENTS: Great butter to use and works great in my lotions and other products! "Very awesome but not green like photo"
COMMENTS: I love this and add it to most of my lotions. It's an extra moisturizer without the oily feel after. Great to use straight out of the package!! COMMENTS: This is a really nice butter in facial creams. The texture is really nice and smooth. COMMENTS: This butter is very creamy. It was a great addition to lotion bars. I really like the added benefits of this butter and enjoy telling people what horsetail butter is good for. I can't wait to try it in lotion. COMMENTS: This is a great butter! I use it on my face every night before bed, right out of the container! It's great in lip balms and added to MP soaps. Highly recommend. COMMENTS: This butter is silky smooth and penetrates rather quickly, avoiding the greasy feel you'll have with most butters. Add an antioxidant (like grape seed or vitamin E) and a fragrance and you can use this for all all-over body balm. When buyers sample this they want it! Especially once they know how beneficial horsetail extract is for skin. 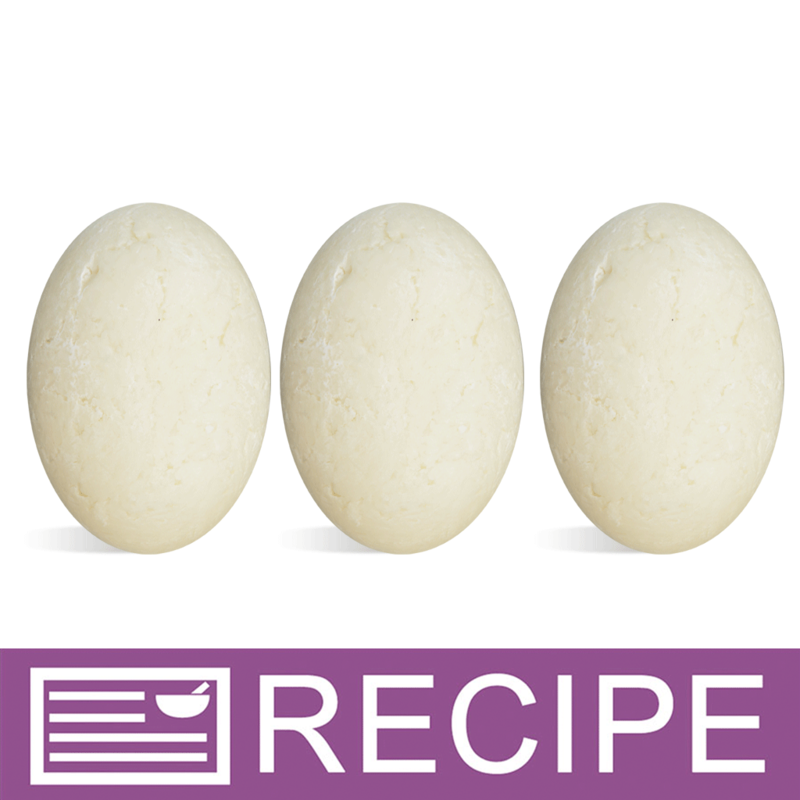 "Do you know what the INS (Iodine Number Saponification) Value is for Horsetail Butter? " Staff Answer We do not know what the INS value is for this butter. We can tell you that Sweet Almond Oil is 97 and Horse Oil is 117. These ingredients plus hydrogenated vegetable oil make up the horsetail butter. "Due to the addition of an extract, does a preservative need to be added?" Staff Answer You should check the extract being added as it may have a preservative in it already. If not, then you would need to add one. "Crazy question, when making a body butter, can you change the of the horsetail butter base. I know that it’s naturally green, but can some color, like white or a green be added to make the base lighter or darker. Thank you." Staff Answer You can add some color to the butter blend. You would need to test this to know how much is needed to change to the color you want. "Hi want to make sure this is vegan?" Staff Answer We recommend checking out the ingredients on or website. This all-natural product is made from sweet almond oil, horsetail extract and vegetable oil. "Why is this called horsetail? Please tell me it doesn't actually have horse tail." Staff Answer Horsetail is a flowering herb which was so named because it was thought to resemble a horses tail. "Can you please find out from your supplier what vegetable oils your butters are blended with? I need to know for soy and corn allergies. Thank you"
Staff Answer The vegetable oils can vary so we cannot give you a definite answer. They also cannot guarantee there are no soy or corn in these butters as these products are packaged in their facility. "Could I use this butter in a MP soap as well?" "Can horsetail butter blend be used in CP soap? If so do you have any recipes?"